One of the things I have enjoyed about this book, is that although my kids know how to do a lot around the house, (including cooking), I found that Kay, in her experiment, took what my kids do a step further. 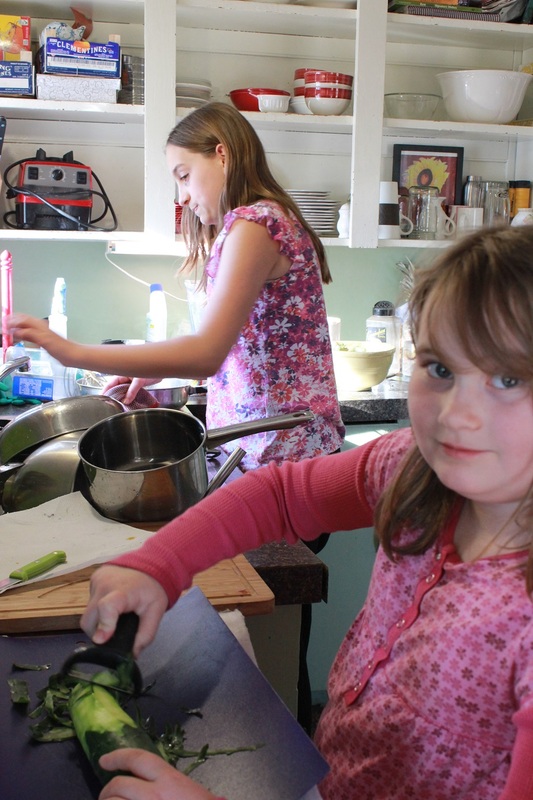 When she made her kids responsible for one meal each week, they didn’t just cook it. They shopped for it. And they cleaned up after. So it’s time for an experiment of our own. And this week being April vacation week for us, it’s a good time to do it, when it doesn’t add stress to an already crazy week for myself. This week each of the kids will be planning, shopping for, and cleaning up after a meal. But instead of waiting for the experiment, this past week I decided we would dust off some old skills in preparation. My 14 year old used to cook dinner once a week. I teach piano lessons a couple afternoons a week. So in exchange for his cell-phone service, my son would cook and serve a meal on a day I taught. Good for me, and good for him! 🙂 Somehow, we lost this habit. And my 11 yr old daughter who has a real desire to learn to cook (because “someday I’m going to be a mom, and I need to know how to do this stuff”) would cook occasionally. I decided it’s time for her to follow in her big brother’s footsteps, and learn to specialize in some meals that can be “hers” to make. 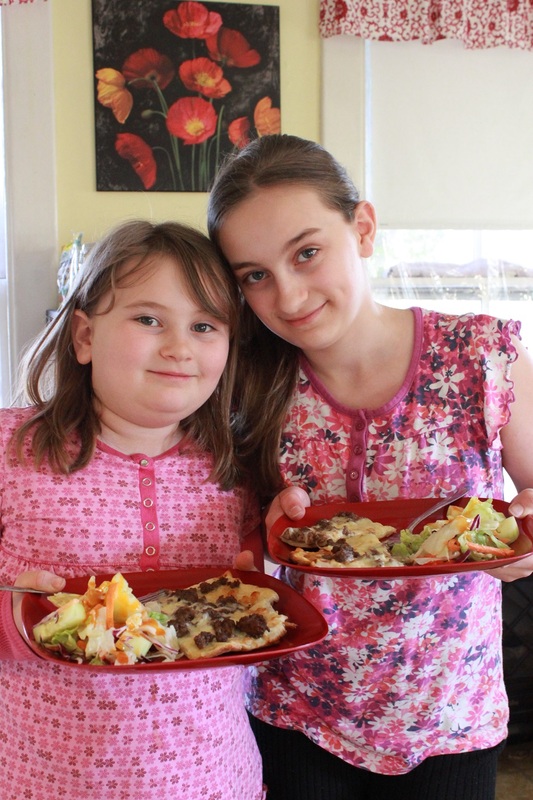 Proud girls, serving their gluten-free cheeseburger pizza and salad! This post is part of a virtual book club hosted by Amy and Steph. You can see their posts at those links. Also check out Karrie’s post here! Hope you’ll join in the conversation! Cleaning House: A Virtual Book Club! When I went to college, I knew how to make one “meal”. Cereal. Honestly, my stepmom cooked every night for us, and therefore, I spent my entire freshman year eatings cereal and my sophmore year eating Ramen Noodles. My stepmom was serving us, but I wish my parents had expected me to learn a few meals. My ten-year-old can make eggs (and we just got the cutest little omlette maker for her 5.99 at TJ Maxx), waffles, and speghetti. I’d like to rotate some bigger meals into the mix soon. But the thing I’m really working on is getting her to complete the task from start to finish. Cooking is fun. Cleaning is a different story. It’s not fun. I really like the idea of giving kids meal which are specifically “theirs”…you know, little things they are known for. I think I will steal that from you. Yes, I will! love this! my girls could all definitely do the shopping. and i’ve got two that could do some cooking. beyond that? we have room for improvement. i have goals for this summer that we’ll be working toward. probably not a week at a time, but definitely more of a routine than we have going at this point. 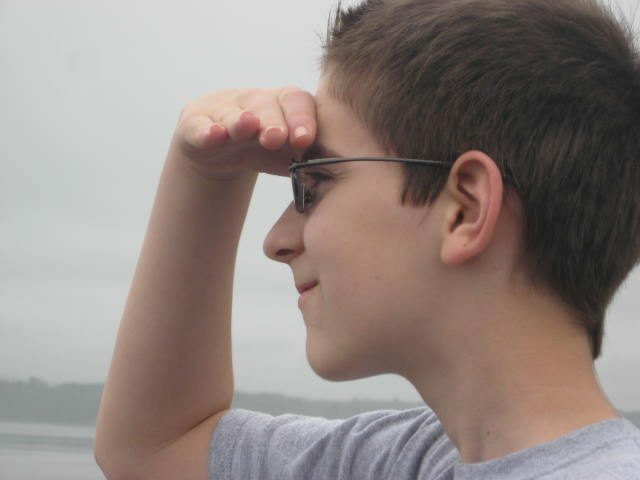 the boy–he’ll definitely take the most work, lol.